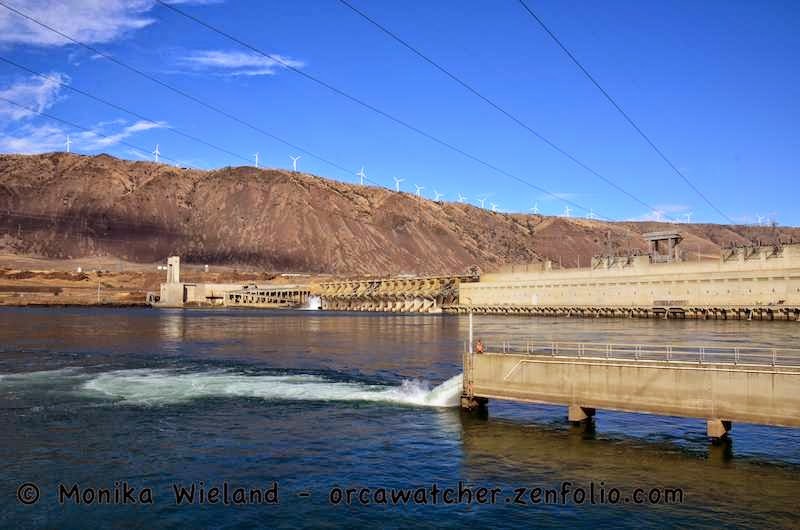 The Yakima River side trip was such a success the day before, that I wanted to do another one. 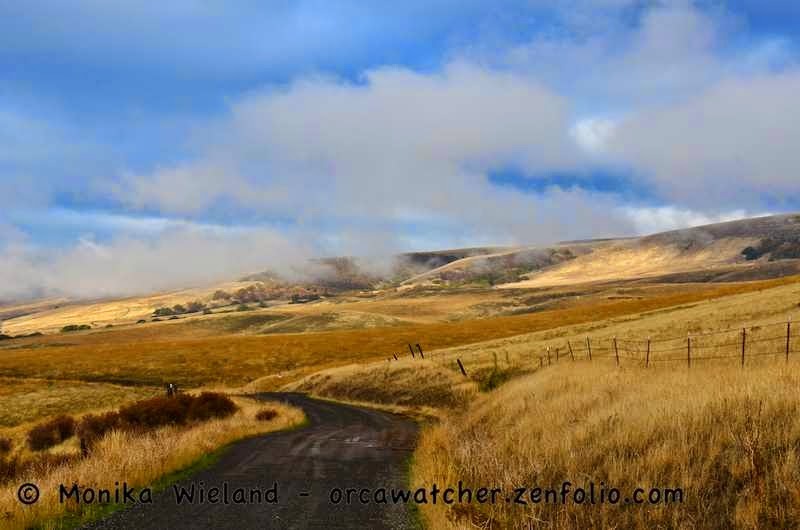 After leaving Goldendale, we again went off the highway and followed the 10+ miles of gravel Dalles Mountain Road towards the Columbia River Gorge. Again, it was an awesome side trip! Before we got to the gravel road, we passed through the small town of Centerville. It's amazing how many small towns there are like this all over the region, many of them almost ghost towns. 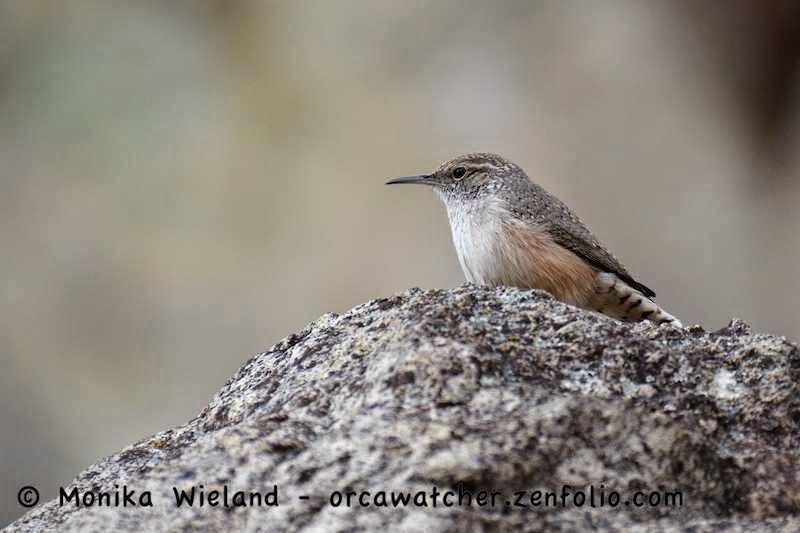 As we left Centerville, the birding really picked up for the first time on the trip. 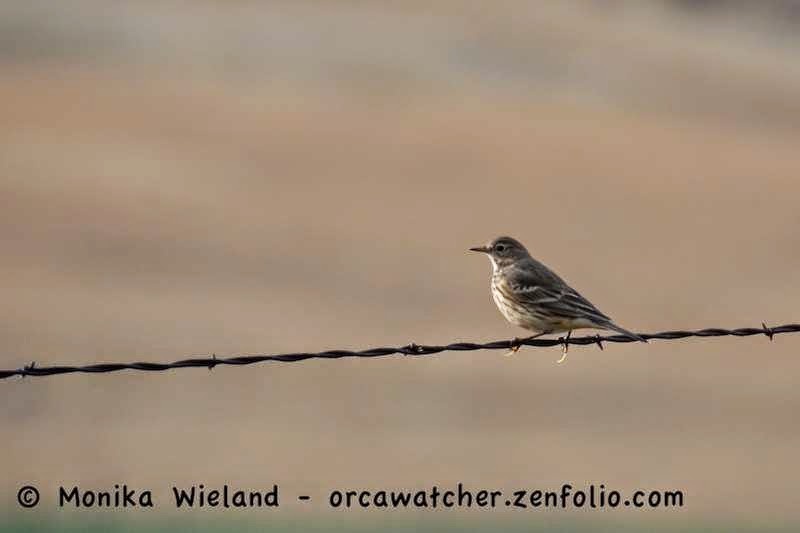 Lots of western meadowlarks and American pipits joined all the blackbirds in the farm fields. I also spotted the first of two prairie falcons (188)! 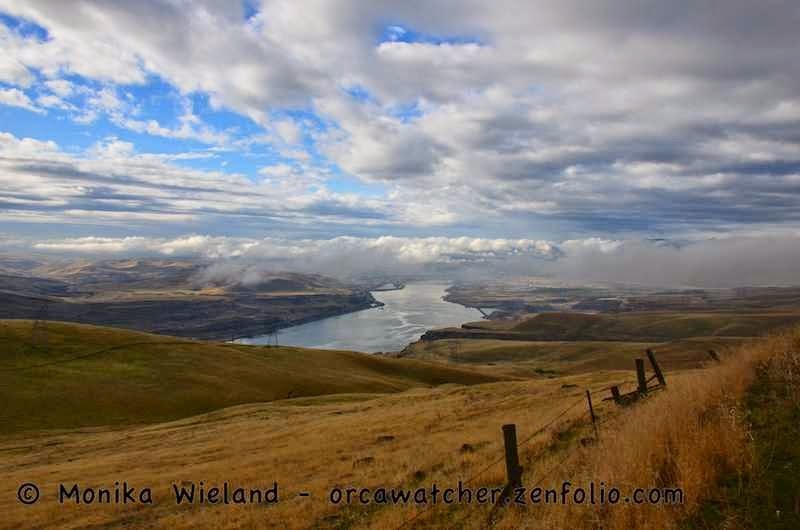 One of the reasons we wanted to take this road is because as it goes over the ridge, you get amazing views of the Columbia River as you wind your way down towards Highway 14. The sun even came out a little bit! 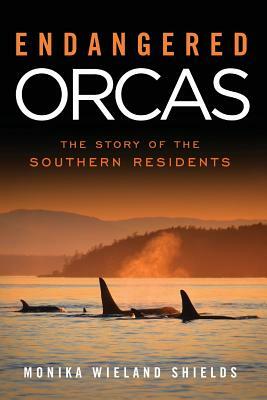 Even on this side of the Cascades, the orcas aren't far from my mind. The Southern Residents feed on Columbia River Chinook salmon a lot, particularly during the winter months. While a good fall run of Chinook salmon is expected this year, in general Columbia runs are just a fraction of their former selves, in large part due to dams. One reason dams are/were hugely important is as a source of hydroelectric power. On the ridgeline in the above photo, however, you can just make out what might be a good replacement for hydroelectric power: wind. 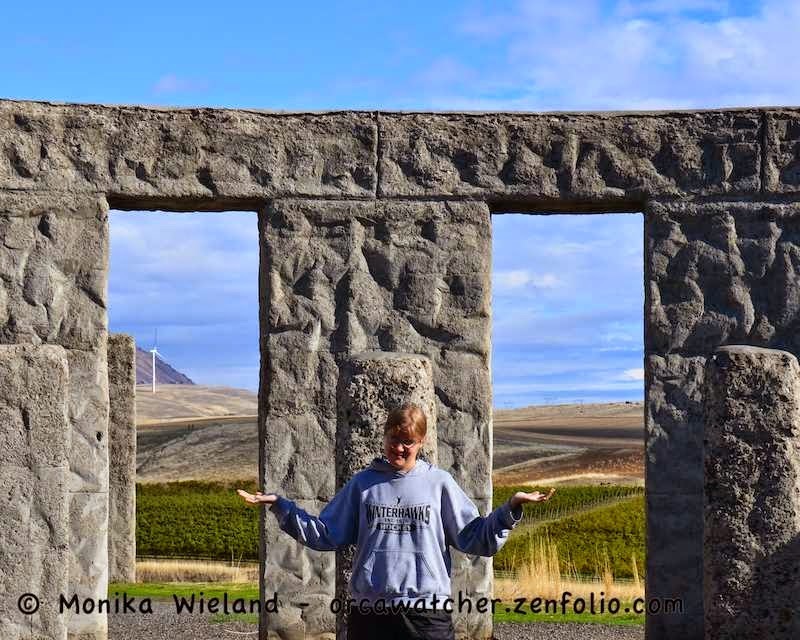 We also stopped at the replica Stonehenge before crossing into Oregon, because, why not? But to see what I'm thinking in the photo below, watch this video. I actually don't think this one looks too much like the real thing, and we do know why they built this one: as a war memorial. 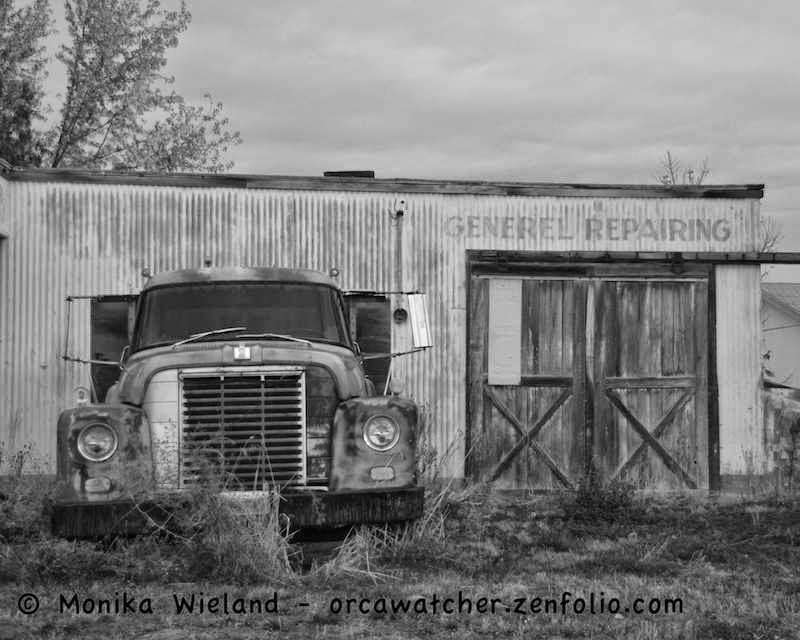 We wound our way down into Central Oregon away from the Columbia River, going through all kinds of very small towns and lots of wide open fields. In addition to spotting a small herd of pronghorn antelope, I saw a single mountain bluebird (189). I thought I might see more, but that ended up being my only bluebird on the trip! On our way to Mitchell, which would be our home base for the next couple days, we stopped at the Clarno Unit of the John Day Fossil Beds National Monument. 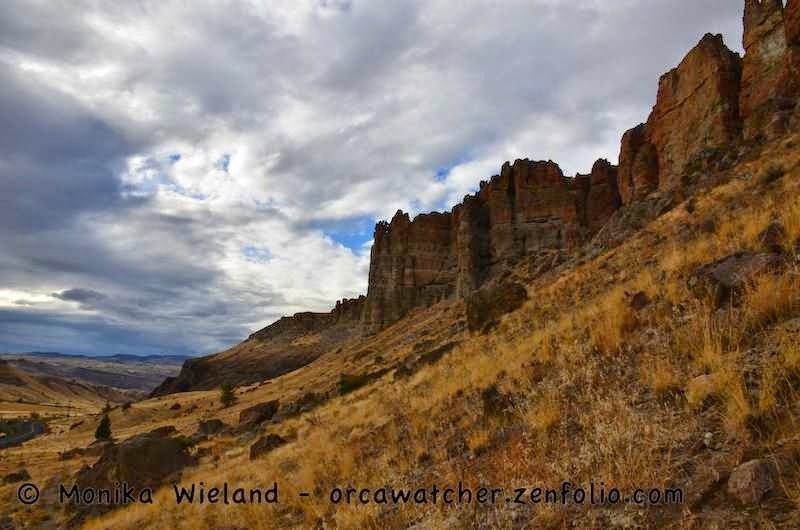 The John Day Fossil Beds were the main attraction that drew me to this region, and the Clarno Unit is the smallest of the three units in the monument. While we did the hike along this cliff face, we actually got a little rained on, but that didn't stop me from spotting some birds! 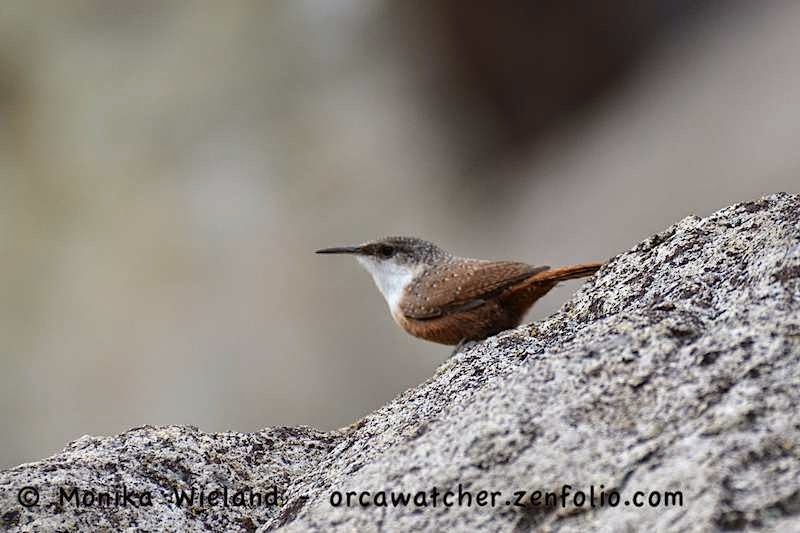 In fact, this would also be the only place I would see rock and canyon wrens! 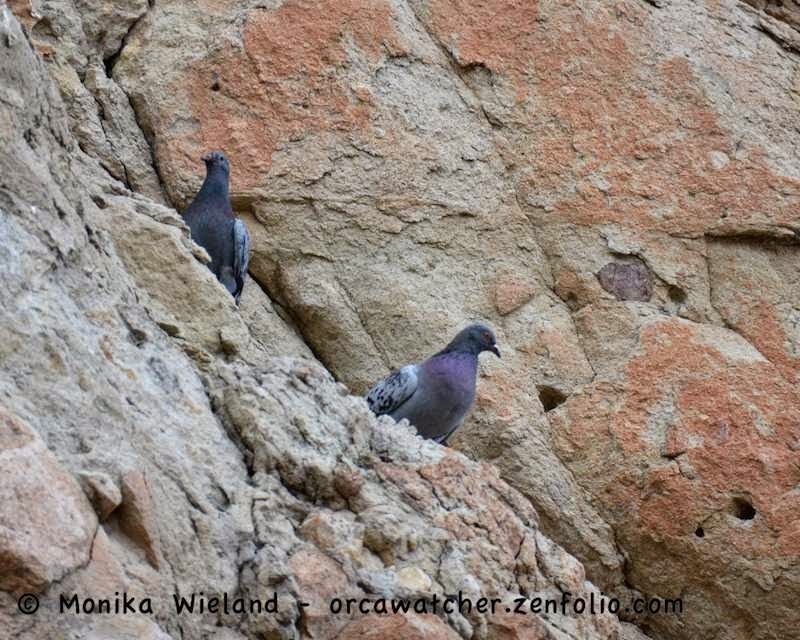 We also saw rock pigeons in more or less their natural habitat, rather than on the city streets. 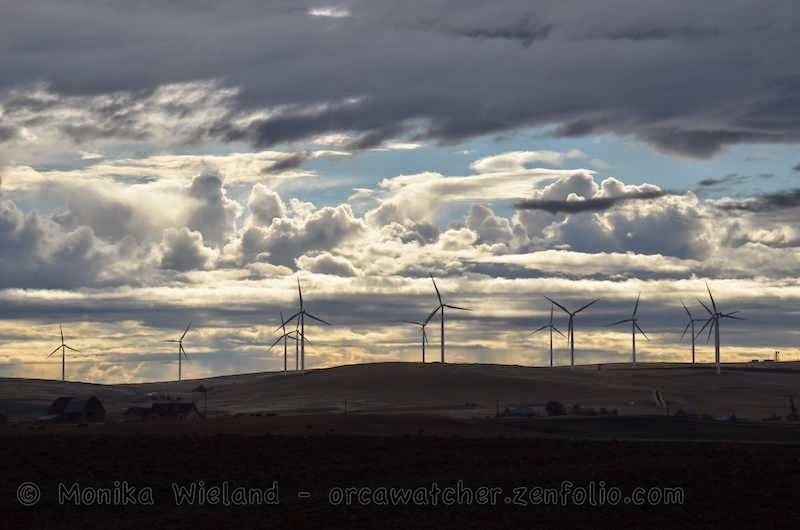 I would add one more year bird just outside of Fossil, Oregon as it was getting dark on our way to Mitchell: wild turkeys (192)! Next up: more hiking, more birding, and more amazing geology! The Painted Hills of Oregon. PS not happy about all those additions to your bird list!! !